Online registration for Meet the Experts is currently closed. We have a limited number of tickets still available--if you would like to register, please call (312) 787-4000 and ask for Membership. Conversely, you can also register at the door. Joe is a principal with CliftonLarsonAllen LLP (CLA) and has been with CLA since 2001. He has 15 years of assurance and consulting experience working with a wide range of closely held companies. He has developed a significant focus on the issues and concerns of businesses operating in the food and beverage industry, including dealing with the challenges of mergers and acquisitions. Through this experience Joe has gained a comprehensive understanding of the concerns confronting owners and managers of middle market companies. Erik is responsible for managing operations; human resources, marketing campaign, concept generation, and product development for each venue. Called the modern day Bill Veeck for his innovative out-of-the-box marketing ideas, Erik firmly believes that he has never had a bad day in his life, just lessons, and takes that attitude to shape day-to-day operations. With over 15 years of experience in the industry, Erik understands the intricacies, complexities and opportunities of hospitality like no other. Erik believes that the company culture and mission statement are the key elements which differentiate BOTG from like companies. Hiring ‘good humans with great character’ and teaching them the foundation of the company is always the goal, rather than hiring people with‘great experience’. Erik holds a Bachelor of Science in Business Management and a Minor in Political Science from the University of Arizona. Norman H. Bolden is a Chicago native who was raised and currently resides in Chicago’s 4th Ward. He is a veteran community activist and leader with a proven track record for working side by side with fellow residents and stakeholders.Norman’s career path at WGCI Radio spanned over 25 years, which earned him an early retirement. Not one to rest on his laurels, he immediately began working full throttle on his business ventures that he had been nurturing for over a decade. In the North Kenwood community that he loves so much, he opened Room 43, an entertainment venue in the same building where his father formerly owned a radio and television repair shop. Norman also owns and manages an anchor property at 43rdand Ellis that houses several other small businesses and Norman’s Bistro, his upscale restaurant.The Outstanding Young Men of America, Gannett Radio, and the Near North Health Service Corporation are a few major organizations that have acknowledged Norman for his outstanding achievements and generosity during many years of business and community service. He is a current Board member of Near North Health Services and continues to serve on the Board of Komed Health Center in North Kenwood.In 2012, Norman Bolden won numerous awards and accolades including: Chicago Defender Men of Excellence, Who’s Who of Black Chicago and Creativity United’s, Un-Sung Hero for his outstanding work as owner of Norflo Holding Corporation.One of Norman’s favorite quotes is, “If you can believe it, then you can achieve it.”This has become a philosophy which Norman continues to promote with every new challenge he meets. Gerrin Cheek Butler is currently the Director of Food Protection for the Chicago Department of Public Health. In this position, Gerrin has developed partnerships across the industry to implement a science-based food Code and standardize the food inspection process. Gerrin received her B.S. in Environmental Health from Illinois State University and a Master of Public Administration from Southern Illinois University, Edwardsville. 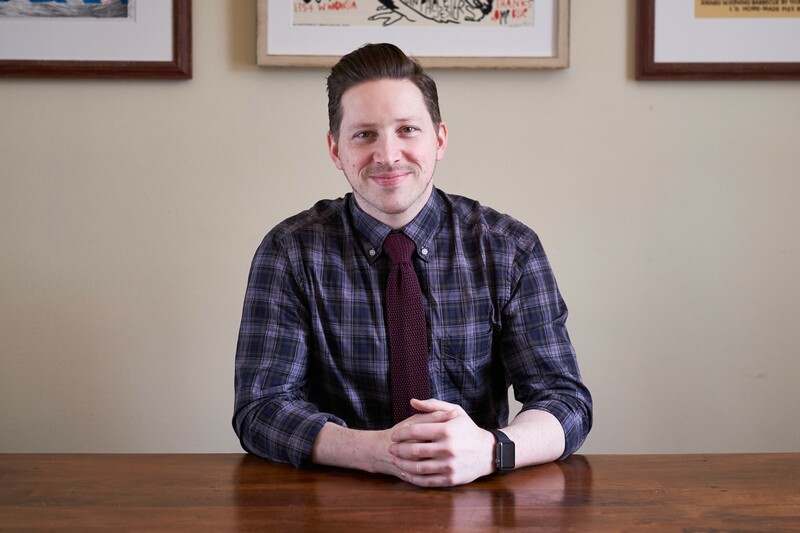 Before opening Bang Bang Pie & Biscuits, St. Louis native Michael Ciapciak spent time working in New York City where he landed a job at Gramercy Tavern. He then took on the general manager role at Blue Hill and was part of the opening team at the lauded Blue Hill Stone Barns. He later decamped to Chicago to manage TRU. 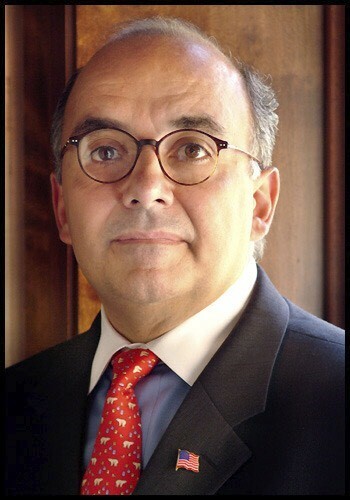 Ciapciak parlayed his fine-dining experience into a position as restaurant,& hotel & spa critic for Forbes Travel Guide. After four years of globetrotting, and now with a young family, Ciapciak decided it was time to settle down & in 2012, opened the first Bang Bang Pie & Biscuits in Logan Square. He opened a second location in Ravenswood in 2016, along with a commissary that fuels a robust wholesale program throughout Chicago. 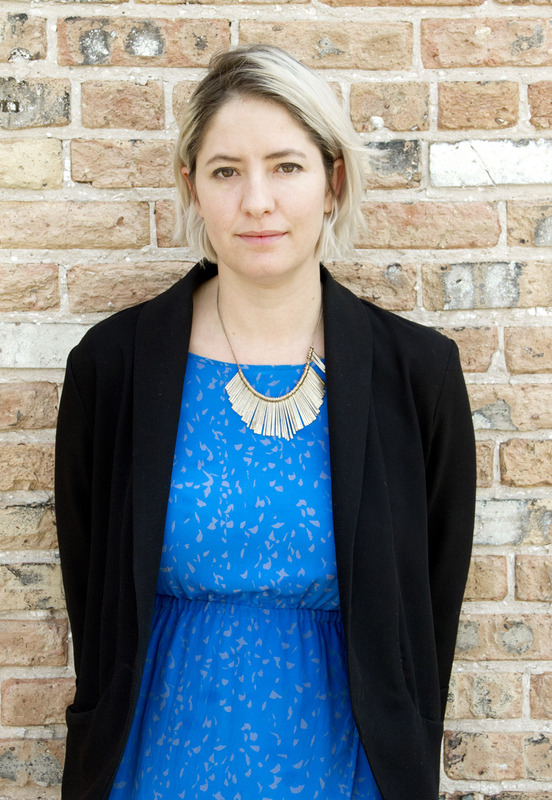 In late Summer 2018, along with partner Dana Salls Cree he opened Pretty Cool Ice Cream in Logan Square. In his down time, he spends time with his wife Susan & their five young children. John R. Collettiis a born and raised Chicagoan. He grew up on the north side and graduated from North Park College, in1975 with a degree in biologyand a minor chemistry. From 1975 to 1983 Collettitaught for Chicago City Colleges and thenworkedforthe City of Chicago Department of Health. Colletti entered into the world of hospitality management in 1983 when, up until 1992, he was affiliated with Americana Hotel Corporation, Ditka’s City Lights, Sportsman’s Park Racetrack and Shaw’s Crab House. In 1992, Colletti joined the team at Gibsons Bar & Steakhouse as General Manager; today he is a Managing Partner of Gibsons Restaurant Group. Colletti is active in many local organizations. He is on the Board of Directors of Choose Chicago and the Michigan Avenue Association and the Illinois Restaurant Association, a member of the National Italian American Sports Hall of Fame,(Sportsmanof theyear 2016) and the formerChairman of the Illinois Restaurant Association. In 2010, Colletti was presented with thePerson of the Year Awardby the Political Fund of Illinois,2010, receivedtheAmbassador of Hospitality Awardfrom the Illinois Hotel and Lodging Associationand in2013 receivedtheDedicated ServiceAwardtothe Restaurant Industry,by the Illinois Restaurant Association andThe Tourism Ambassador 2014, givenby Choose Chicago and"Chairman For Life",The ChicagoGourmet Show. Colletti resides with his wife Susan in Lincolnwood, Illinois. 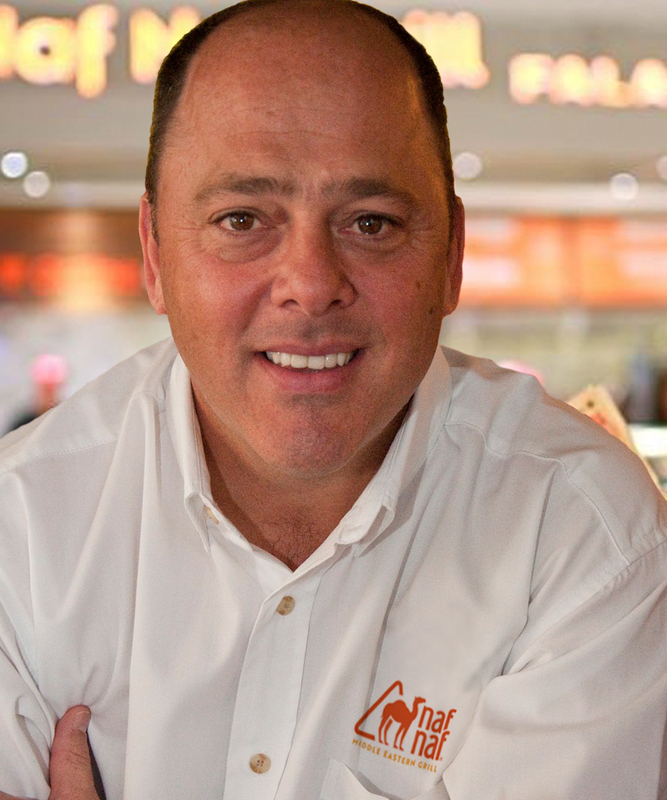 Paul joined Naf Naf Grill as CEO in June 2017 and brings more than 35 years of foodservice experience to the organization. His love for the culinary arts began when he worked at his dad’s catering business washing dishes and preparing food. This work inspired him to attend Johnson & Wales University where he earned degrees in Culinary Arts and Hotel Restaurant Management and where he met his wife, Laura. 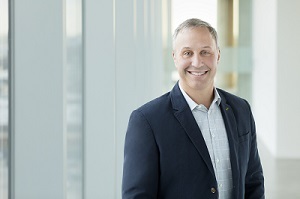 Following his graduation from J&W, Paul spent 13 years in various roles with Host Marriott Corporation culminating to his role as Vice President of International Development where he oversaw restaurant development on five continents. In 1999, his entrepreneurial instinct came to life and he co-founded FoodBrand LLC, a company that specialized in the development of restaurants in malls and airports. 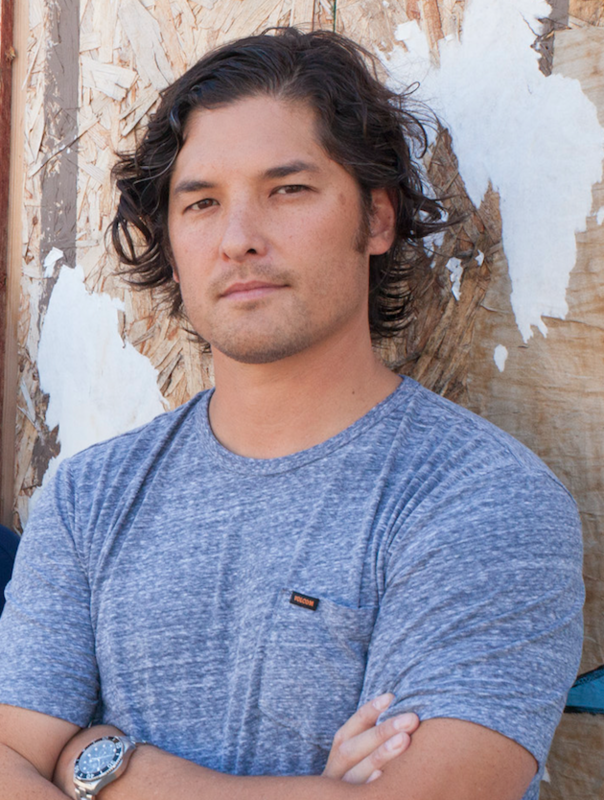 He and his co-founders grew this company to over 100 restaurant locations. In 2006, Paul joined SSP America, an international concessions company, as the Chief Operating Officer responsible for airport properties in North America and the Caribbean. In 2008, Paul joined Moe’s Southwest Grill as President of the organization. Over a six-year period he grew the company from 200 locations to 680, leading the industry in new restaurant openings and culinary development. During his time with Moe’s, Paul delivered 23 consecutive quarters of positive same store sales growth and was named byFast Casual Magazineas a Top 26 Executive.While President of Moe’s, Paul was featured on the CBS hit TV series Undercover Boss where he went undercover to work in the restaurants and changed the lives of 5 Moe’s associates. After six years with Moe’s, Paul was promoted to Group President, by parent company FOCUS Brands, and was responsible for the oversight of McAlister’s Deli, Moe’s Southwest Grill, and Schlotzsky’s Deli. In early 2016, his role expanded to encompass all six FOCUS Brands, including Auntie Anne’s Pretzels, Carvel Ice Cream and Cinnabon World Famous Cinnamon Rolls. As FOCUS Brands’ President of North America, Paul oversaw a $2.6 Billion-dollar foodservice company made up of more than 5,000 restaurants. Paul and his wife, Laura, reside in Chicago, Illinois and are the proud parents of their three daughters: Taylor, Samantha, and Rachele. Paul DiBenedetto is a Sales Executive for Horton’s Risk Advisory Solutions. In this role, Paul is responsible for providing Horton clients with comprehensive, cost-effective and innovative solutions to meet their most complex, risk-related challenges in the hospitality industry. 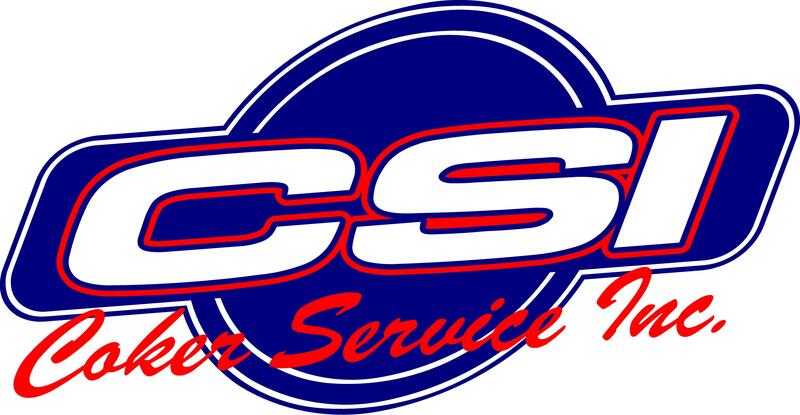 “I understand the top priorities and concerns of a restaurant owner because I was the client not too long ago. I know what it takes to launch and run a successful business – what are the biggest challenges and expenses,” said Paul. “Before joining Horton, Paul co-founded and served as Managing Partner for MindMeld Partners, a successful marketing/beverage consulting firm. Previously, Paul served as President of Tilted Management and Managing Member for Kilt Development. At Kilt Development, Paul oversaw franchisee development operations for the Tilted Kilt Pub & Eatery. Paul attended Governors State University where he received a Bachelor of Arts Degree in History and Secondary Education. Paul resides in New Lenox, Illinois with his wife and children. In his time away from work, Paul enjoys spending time with his family, playing golf and poker, and coaching his kids’ sports teams. restaurant owners and managers, you can find him chasing after his two sons, Jake and Dylan, down the ski slopes of the Rockies with his wife Emily. 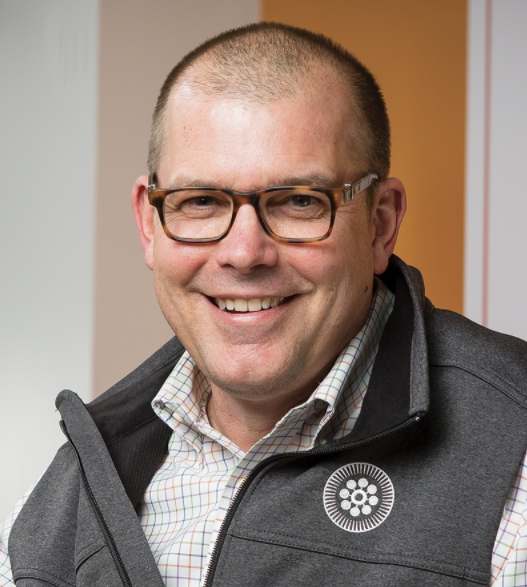 Jeff Drake has served as president and CEO of Protein Bar & Kitchen since early 2017. Under his leadership, the Chicago-based restaurant chain has undergone a full rebrand along with major upgrades to its technology and culinary programs. Prior to joining PBK, Drake served as President of Le Duff America and its 122 locations throughout North America. Previously, he was President and Founding Partner of Go Roma, a privately-held chain of fast casual Italian restaurants, and COO of sister-brand Boudin, San Francisco's historic bakery with cafes across California. Drake began his career in hospitality at Corner Bakery Cafe. Drake graduated from Creighton University with a B.S. in Chemistry. He and his wife Stephanie reside in Chicago with their two children. Director Enyia joined the Illinois Liquor Control Commission in March of 2018. He oversees all policy, operations, legislative, and intergovernmental initiatives of the Commission. 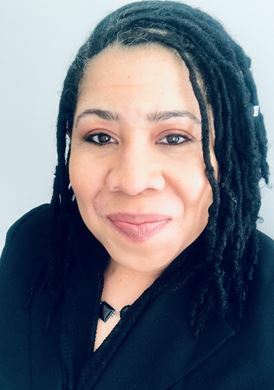 Prior to serving as Executive Director at ILCC, Director Enyia served as Chief Operating Officer for the Illinois Department of Central Management Services, which oversees the administrative operations of the State. More recently he served as the Associate Director of the Illinois Department of Revenue. While at DOR, in addition to assisting with Liquor policy development, Director Enyia optimized day to day operations through strategic planning, lean six sigma process improvements, establishment and integration of a best in class data analytics practice, and management training. Mr. Enyia’s efforts were integral in achieving over $100 million in tax fraud prevention over 3 years through use of data analytics, over $1 million and 90,000 work hours saved through lean 6 sigma implementation.Director Enyia grew up in the southern suburbs of Chicago, attended Lewis University for majoring Philosophy and Political Science, received a Harvard Senior Executives in State and Local Government certification, and is a certified Lean 6 Sigma practitioner. He currently resides in Chicago’s Bronzeville neighborhood. A Chicagoland native,BruceFinkelman’s celebrated path in hospitality began as a graduate of the University of Missouri’s inaugural Food and Beverage curriculum. A late night drive through Ukrainian Village would foreshadow the start of his next career chapter. With $923 in the bank, Finkelman set out to launch the Empty Bottle. A home to a community of artists and creatives who began taking up residence in the then-desolate Ukrainian Village, The Empty Bottle filled a void in the evolving neighborhood. A year later, the whole operation would move three blocks north to its permanent home on Western and Cortez. Described by Finkelman as a “cat-ridden hole-in-the-wall,” musical acts from all over the globe were welcomed as Chicago’s music scene blossomed. Two decades later it is the only Chicago venue to make Rolling Stone magazine’s list of the nation’s 20 best rock clubs.Brucethen went on to launch Bite Café and Beauty Bar before opening doors to Logan Square’s Longman & Eagle in 2010.After beginning their partnership with L&E, Finkelman & Golden partnered once again to restore Pilsen’s stunning Thalia Hall space in 2013. Re-establishing a concert hall in the venue’s historic theatre space, the ambitious project also includes Dusek’s, a beer-focused restaurant in the corner of the building and Punch House, a craft punch bar tucked away in the basement.When the University of Chicago reached out to Finkelman and Golden for help revitalizing Hyde Park, the duo jumped at the opportunity to open another restaurant and music venue that could foster a renewed sense of community. The Promontory is his vision as a hearth-centered neighborhood flagship, managed and staffed by people whose passion for music and hospitality equals his own.Saint Lou’s Assembly, MONEYGUN, and Revival Food Hall were the next openings for Finkelman and Golden, all in 2016, followed immediately by The Ruin Daily in 2017. "Revival aims to create a welcoming space that gives people an all-local, chef-driven dining experience in the heart of the city. We truly want to be a beacon in the community where people want to come morning, noon and night." At Arami, Ty and his team are dedicated to educating their guests about traditionalJapanese cuisine and flavors. For him, the most important part about a guest’s experienceis that they be treated the way he would like to be treated in a restaurant. “If you can do that, you not only earn the diners trust, but you also ensure a certain amount of respect among your team members – other servers, the chefs and the owner.” The one Michelin-starred Entente, that brought elevated, chef-driven cuisine to Chicago’s Lakeview neighborhood for two years, made the move to River North in early 2019. Entente offers a choose-your-own shared tasting menu with high end cuisine in a casual setting. Adam Gewanter has built a foundation with over 28 years of operational and financial excellence within the hospitality industry. Launching his career at the very early age of 13 as a busser at Kotimsky & Tuchman caterers, Adam knew he had found his passion. 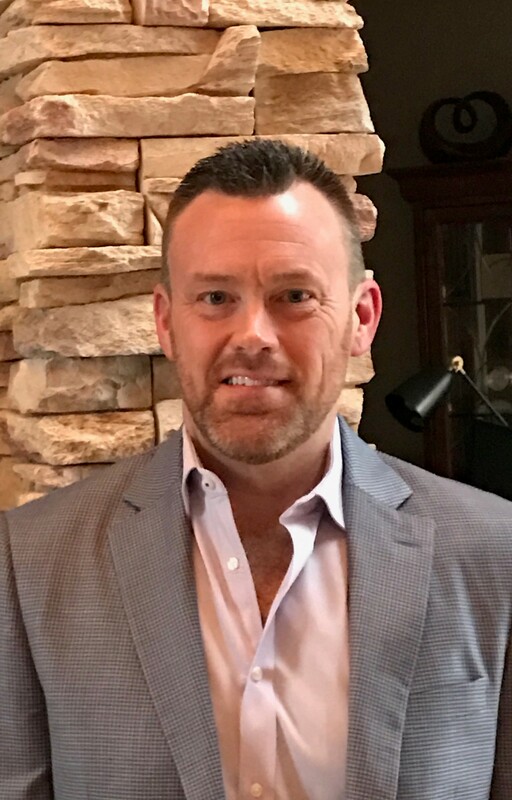 Driven to expand his knowledge, Adam perused a degree in Hospitality Management from Johnson & Wales University in Providence Rhode Island and graduated in 1994. Throughout his career, Adam has opened and operated some of the most well know restaurants in the industry. Highlights include: 540 Park at The Regency New York, Palladin by Jean-Louis Palladin, Tao New York, Tao Las Vegas, Lavo Las Vegas and Beauty & Essex Las Vegas. 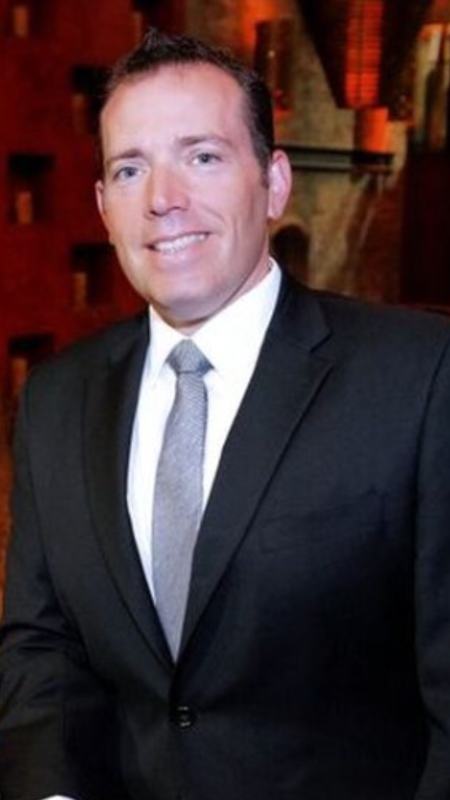 Adam is currently the Managing Partner for Tao Group Chicago and has been with the company for eighteen years. Adam’s Food & Beverage proficiency and creative innovation has been a key element in his proven success. He leads by example and thus his teams always deliver exceptional experiences to all guests alike. Mike Guinan has worked in many roles since he started at White Castle more than 34 years ago. He began behind the counter learning the grill, dressing sandwiches and cleaning while he was still in high school. Mike rapidly moved up into more prominent roles as shift manager, Castle supervisor, regional assistant director, and recently promoted to Vice President of Operations and Services. 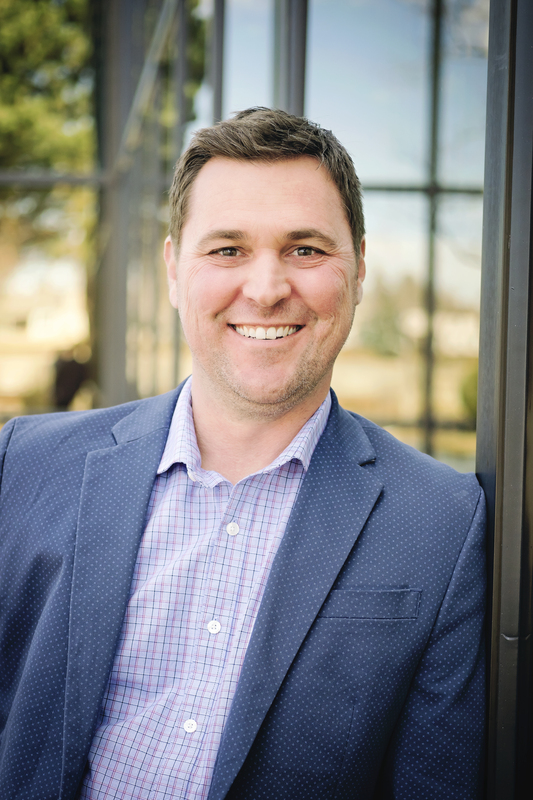 In his current position, Mike leads multiple regions of the country; as well as leads major projects for the company on the strategy map.He enjoys building relationships and helping others grow as leaders. Mike also revels in helping people to be all they can be and says that is one of his greatest rewards at White Castle. Through the years, Mike has attended seminars, workshops, and worked with business leaders to learn more about the restaurant industry. He currently lives in the south suburbs of Chicago with his family and where he grew up. Mike also is an avid runner completing several marathons. He is on the Illinois Restaurant Association Board, the Illinois Chamber of Commerce Board, and gives his time to the Autism Foundation. Mike has many favorite Craver moments, which include hearing memorable stories from customers, seeing a young Craver’s face light up when they enter the restaurant, and watching the many generations that visit the Castles daily. Sam "Trump" Harris is a multi-instrumentalist/singer/songwriter from Houston, TX, and has been a student of music from picking up the trumpet at age 7. 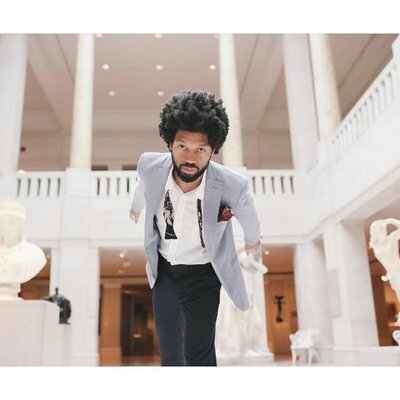 Since moving to Chicago in 2009 to obtain his arts degree in music, he has become heavily involved in Chicago's live music scene, and is widely known as a band leader, sideman, mentor, & curator. Wherever he is, Sam is known for creating a vibe that is sophisticated & soulful. His debut album, PURPLE SKIES (2018) documents the early maturation of his solo artistry, covering topics of love & romance, family, inspiration, societal interdependence, & the Black American plight. All songs are produced by long-term collaborator & LA based producer, Calvin Valentine. He is also a long standing member of Hip Hop, Soul, Jazz band, Sidewalk Chalk, who released their 4th album “An Orchid Is Born” in 2017, produced by Grammy Award Winner, Robert “Sput” Searight. He has shared the stage with Phonte, Christopher Turner, Shante Chantae Cann, The O'Jays, Jamila Woods, Bilal, Wycli‑e Gordon, Christian McBride, Sam Strouk, L'Renee, & Benny Golson. Even with his enormously busy performing schedule, Sam still finds time to be the Music Curator at Untitled Supper Club. 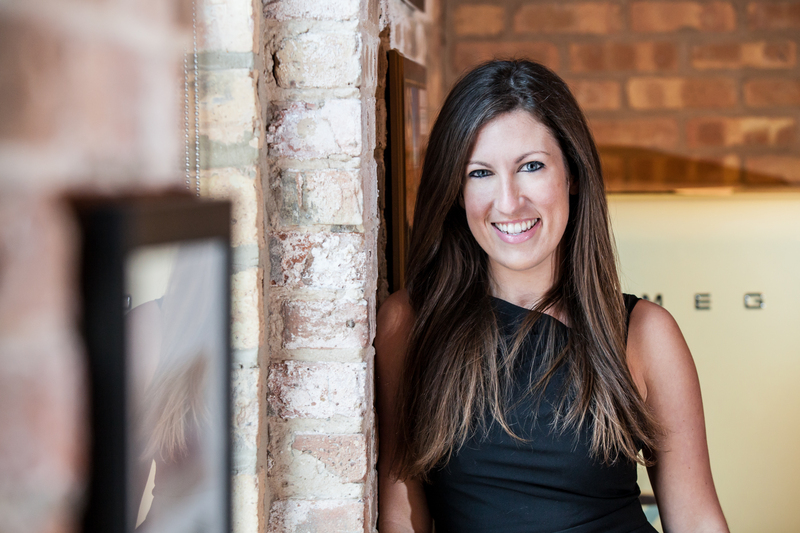 Prior to founding her first company, Isabelli Media Relations (IMR), in 2011, she held the position of Vice President at Wagstaff Worldwide, where she led the company’s Midwest office for nearly a decade. Previously, she served as the Assistant Director of College Programming at the University Chicago, where she oversaw large-scale events and conferences for students, faculty and alumni of The College. In her tenure, Janet has led campaigns for internationally recognized entities such as Soho House & Co., InterContinental Hotel Group, Trump Hotels, the Illinois Restaurant Association, the Illinois Hotel & Lodging Association, branding expert Adrienne Weiss and the James Beard Foundation. The media relations campaign for one of the nation’s premier epicurean events – Chicago Gourmet – falls under IMR’s care, as well as those for countless award-winning hotels, restaurants and culinary brands throughout the U.S. As CEO of IMR, Janet provides strategic counsel while empowering the agency’s partners and executive team as they lead smart, results-driven client campaigns. In addition, she guides nationwide business development for the firm, including that for IMR’s video production arm, Belli Films. 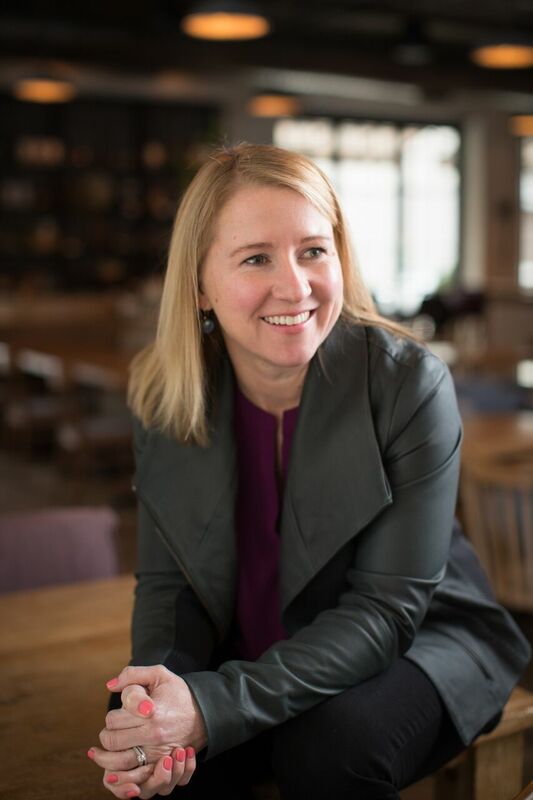 Janet was named one of Crain’s Chicago Business’ “40 Under 40” emerging business professionals in 2007 and one of the city’s most influential women in food in 2015 by Chicago Woman magazine. Additionally, she was honored in Newcity magazine’s “Big Heat: Food & Drink 50″in 2011, 2013 and 2017. She holds undergraduate degrees in Law, Letters & Society and Spanish Language & Literature from the University of Chicago, where she is active in the alumni community. In addition to fitness and cooking, the Chicago native enjoys exploring islands all over the world – and Instagramming each and every journey. 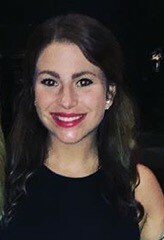 Abby Kritzler, a recipient of Zagat's 30 Under 30 Award, has been with Boka Restaurant Group since 2007. After graduating from Boston College in 2006 with a degree in Sociology and Community Advocacy, Kritzler began her career in the non-profit sector, running an after-school program for at-risk youth in Boston’s Roxbury neighborhood. After returning to Chicago in 2007, Abby took a job at Landmark Grill & Lounge, only intending to stay a few months, while working as a Program Director and Event Planner at a local non-profit. Kritzler quickly felt at home with Boka Restaurant Group and continued to take on new roles from Server Assistant to Server to Bartender, developing her love for hospitality, food, and service. In early 2011, Kritzler requested a meeting with Owners Rob Katz and Kevin Boehm to discuss some ideas for the company (the original notes from which were framed by Kevin and Rob and still sit on Kritzer’s desk today). After meeting with Kritzler, Katz and Boehm offered her the position as their Executive Assistant. Kritzler accepted the position and within months was promoted to the Executive Director of Boka Restaurant Group. Kritzler's responsibilities include finance, human resources, strategic planning, staff training, community relations, professional development and corporate system building. Kritzler also oversees Boka Catering, allowing people to experience the cuisine and hospitality of Boka Restaurant Group at their off-site events. 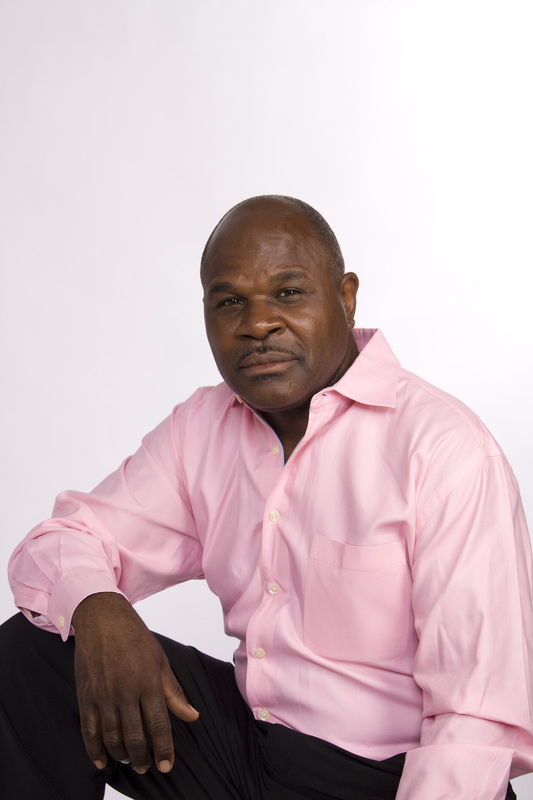 Robert “Bobby” Lane is a Sales Executive for Horton’s Hospitality Practice. In this role, Bobby is responsible for providing expert employee benefits consulting, bringing new clients on board, and servicing and retaining existing clients. Before joining Horton in 2017, Bobby had been involved in insurance for over nine years with his last position running his own agency selling voluntary benefits. In that position, he dived into a diverse client basis spanning across the nation – gathering deep industry knowledge and learning that the smallest details are critical. “By being true to the employer, we allow a situation to create reduced costs, workload, and happier employees.” When looking at healthcare, he considers the whole picture – employee health and wellness, legal, compliance, and even technology – in addition to the insurance policies. Bobby attended Michigan State, where he received a Bachelor’s Degree in Economics and Political Science. He then pursued a law degree at Loyola University in Los Angeles, California. Originally, from Utica, New York, and the oldest of three siblings, he moved to Chicago in 2008. In his time away from work, Bobby enjoys spending time with friends, watching, and playing all kinds of sports. Among the city's most acclaimed restaurateurs, Chicago-born Donald J. Madia has mastered the art of collaboration to execute his singular unerring instincts for style, atmosphere and hospitality. His unique blend of visionary inspiration, attention to detail and sense of unlimited possibility informs all he touches— as evidenced in Blackbird, avec, The Publican, The VioletHour, Big Star, Publican Quality Meats, Nico Osteria and Dove’s Luncheonette. 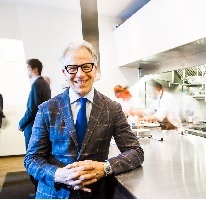 His gift for connecting talented individuals and business acumen was recognized by the James Beard Foundation through consecutive nominations for Outstanding Restaurateur in 2012 and 2013. Matt Menna serves as a Principal at Sterling Bay, a commercial real estate investment and development firm established in 1986. Today, Sterling Bay is a 175-person firm focusing on the adaptive reuse of downtown loft office buildings, ground-up office, retail and hospitality developments and urban campus build-to-suit projects on a national platform. Examples of Sterling Bay’s most prominent projects include the renovation of a former cold storage building into 1KFulton, a 550,000 square foot state-of-the-art office and retail building, now home to the Midwest headquarters of Google, Inc. Sterling Bay also renovated 111 North Canal, an 860,000 square foot multi-tenant loft office building in the West Loop and quickly signed a tech-based tenant roster including Gogo, Twitter, SAP and Uber. In 2017, Sterling Bay completed Fulton West, a 290,000 square foot West Loop creative office building for tenants including Dyson and Glassdoor. The firm recently constructed McDonald’s global headquarters, a 575,000 square foot office building on the former West Loop site of Harpo Studios, as well as 1515 W Webster in Lincoln Park along the Chicago River, which serves as the 207,000 square foot headquarters of international logistics provider C.H. Robinson. Matt joined Sterling Bay in 2012. He currently oversees projects at Sterling Bay requiring operational oversight, including Victory Ranch, a 7,000 acre luxury resort in Park City, Utah. He is also one of two principals of Four Corners Tavern Group, which operates and/or is involved in over twenty restaurants, bars and hospitality ventures. Prior to joining Sterling Bay, Matt spent 17 years at William Blair where he managed assets valued at $600 million for high-net worth clients. Fran joined the Food For Thought board in 2016, a 500+ employee Chicagoland catering and restaurant company and quickly joined their Strategy Team. He became their in-house Business Improvement Consultant, where he’s involved with overall growth strategy and is also heading up their HR Department and People Development programs. 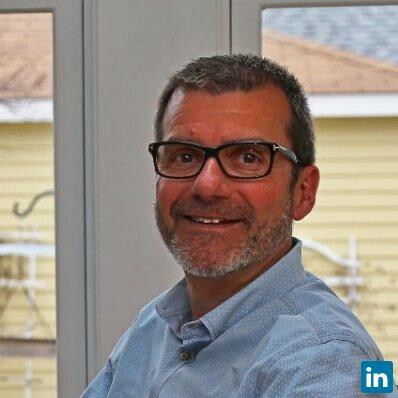 He recently designed and rolled out a digital HR/People Library that encompasses Training, Company Culture, and HR compliance.Previously, Fran was the VP of Operations at Noodles & Co., where he opened over 100 restaurants in a 10-year span in the Midwest.He has more than 30 years of diversified experience and achieved successful results by establishing a balanced approach to people, operations and financial results. Fran is also the founder and owner of Morel Great Lakes LLC, a restaurant consulting company providing strategic solutions to companies regarding sales and unit growth, real estate selection and restaurant design, marketing and menu design, overall operations, people selection and development, and profit and loss improvement. Fran has an MBA in Finance from the University of Michigan. Prior to beginning his career in tech sales ten years ago, Travis Nelson was wrapping up a stretch of doing just about every job the restaurant industry had to offer. 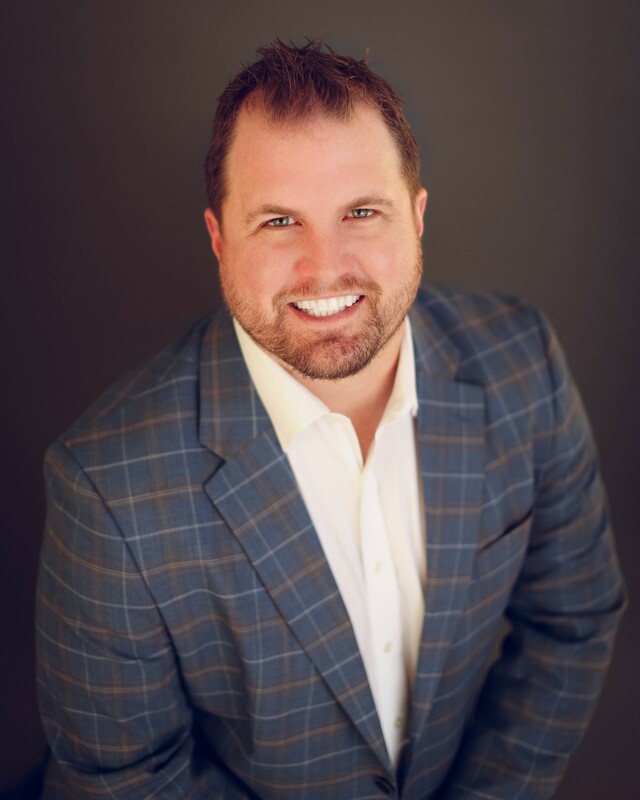 Someone who truly understands the trials and tribulations of being on your feet for a 14-hour double, Travis' main objective is to bring immediate value to his clients with a helping of genuine empathy. Being part of the Groupon team while it went public, he was inspired to continue with startup culture. 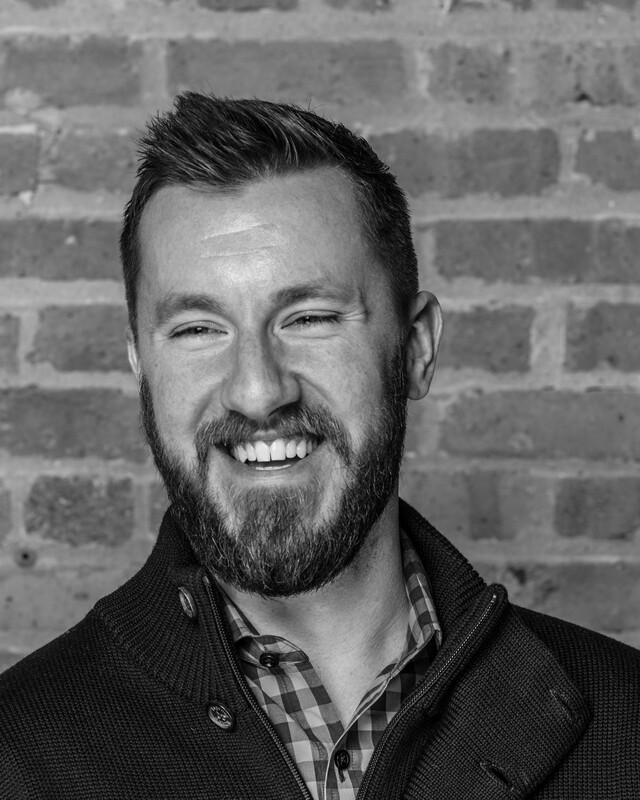 Joining Uber back in 2015, Travis helped launch the RUSH and Eats programs in Chicago. The innovations in food tech and the excitement of working with the best restaurants in the world are his favorite part of being on this side of the industry these days. Catch him at the NRA this May! Alex’s practice focuses on real estate transactions, commercial leasing, asset-backed financing, joint ventures and land development. Through his hands-on approach, he has been involved in a range of notable mixed use, retail, hotel, multi-family residential, office and hospitality projects throughout Chicago and the metropolitan area. Alex’s background in banking and finance provides him with the ability to grasp complex transactions and quickly provide reliable and sound advice. He assists in corporate formations and business transactions, contract negotiations, commercial lease negotiations, asset purchase agreements, business entity formations, and private placements for fundraising/equity matters. 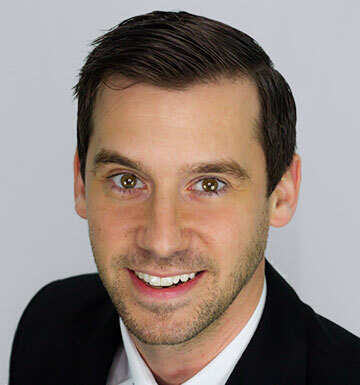 With a wide range of experience in finance, commercial real estate and technology, Alex brings a depth of knowledge outside of the legal industry to each and every client he consults with. Outside of practicing law, Alex is also active in the community. 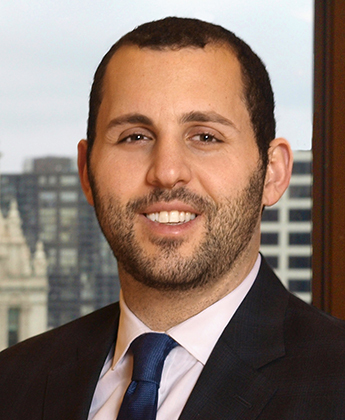 As a key member of the Chicago-Kent School of Law’s incubator program, he advises start-up law firms on how to identify markets, develop a company brand, and seize business opportunities. Additionally, he is an adjunct professor of Real Estate at Kendall College’s School of Hospitality Management, and is regularly invited to speak at a variety of seminars in the Chicago area. 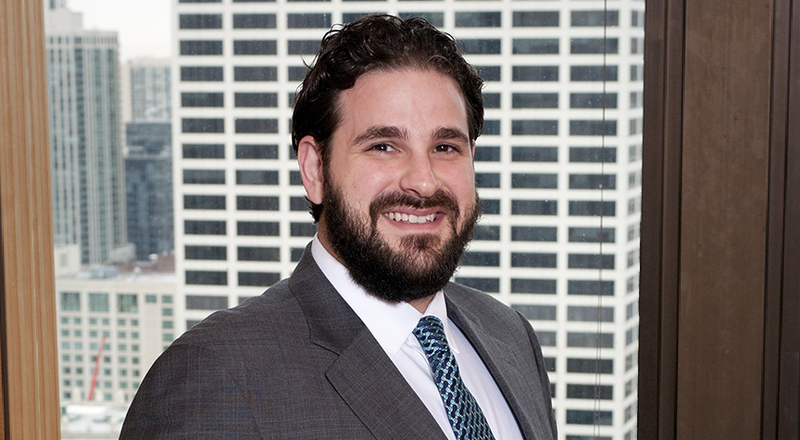 Alex has been named an Illinois Super Lawyers “Rising Star” since 2016. Alexandra Pannos oversees Strategic SMB Partnerships for Uber Eats. Alex was born & raised right outside of Chicago in Northwest Indiana. She attended Miami University and then Purdue Universitywith a focus on Business Finance. Growing up working in her family's restaurant, Alex's interestfor the industry developed at a young age. This budding interestcoupled with her love for helping restaurantsgrow & expand made the decision to come to Uber Eats an easy one.She joined Uber in 2017 bringing nearly 10 years of experiencein restaurant tech sales, specifically digitalmarketing and third-party delivery.Her unique perspective has helped hernavigatethe ever-changing landscape ofrestauranttech while maintaining a customer obsessed mindset. 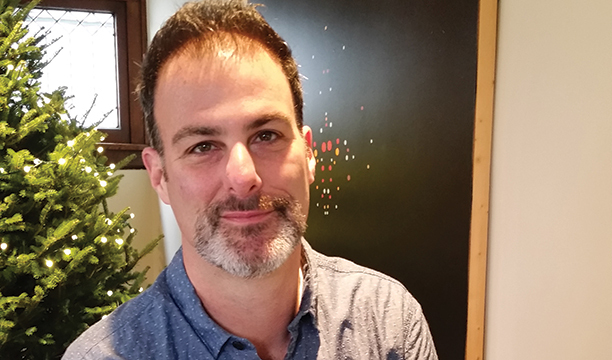 Josh Perlman’s passion for restaurant hospitality began with a part-time job as a teenager in Minneapolis and continues to grow as he opens Giant with more than fifteen years of front-of-house experience. 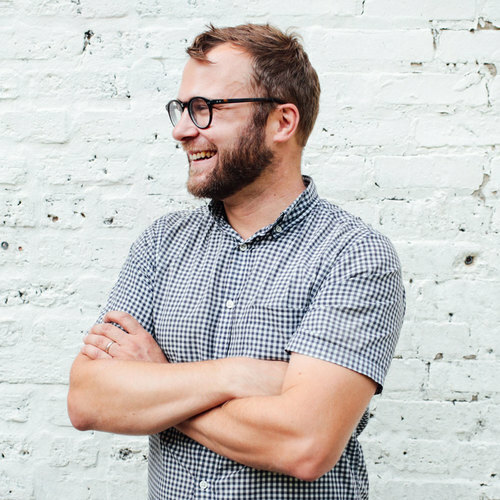 Though Josh pursued his hospitality career in other food-obsessed cities including San Francisco and Denver, his Midwestern roots remained an influence and in Spring 2004, he moved to Chicago. After working at the acclaimed Japonais and serving as a member of the opening team for the BOKA Group's Landmark, Josh wanted to transition to a more intimate dining experience with a focus on wine. In 2008, Josh became a fixture at one of Chicago's most iconic restaurants, Avec. It was here that Josh honed his skills for making guests feel at home and gained an appreciation for the nuance of seasonality. At Giant, Josh is focused on making every guest feel comfortable, relaxed and welcome with a wine list that reads as unpretentious and perfectly suited to the menu's seasonal, simple approach. Travels abroad, with recent visits to small and large producers in France, Italy, and Portugal, have reinforced Josh's desire to create an eclectic wine list, which offers a variety of small-batch producers. He's excited to share what he considers "interesting" wines, along with housecraft cocktails and bottled beers. This summer, Josh and his partners will open 'Chef’s Special Cocktail Bar', a dressed up dive bar in Chicago’s Bucktown neighborhood. When not in the dining room, Josh likes to travel, make pottery and eat (of course!). Meg Sahs developed a passion for the culinary industry at an early age. Growing up, Sahs always made time to assist her mother in cooking meals for their family of seven; but it was ultimately an appreciation for hard work and an innate entrepreneurial spirit that would lead Sahs on a fruitful journey down the path to professional satisfaction. Today, Sahs brings refined business knowledge and years of hospitality expertise to the table as Managing Partner of Monteverde Restaurant & Pastificio, which she owns with her business partner and longtime friend Chef Sarah Grueneberg.Since opening Montverde in November 2015, the restaurant has received acclaimed reviews from various outlets, including three out of four stars byThe Chicago Tribune. In 2016, Monteverdereceived accoladesincluding:oneofFood & Wine’s“America’s BestRestaurants,”a top 50 finalist inBon Appetit’s“Best NewRestaurants” list,Eater’s "21 Best New Restaurants in America,”GQ’s “12 Best New Restaurants,”EaterChicago’s "Restaurant of the Year”in the 2016 Eater Awards,the “Worth the Wait”awardinChicago TribuneDining Awards, and named one ofChicago Magazine’s “15 Best New Restaurants.” In 2017, Monteverde was named one “America’s 38EssentialRestaurants" byEaterand then awarded “Restaurant of the Year” in the 2018 JeanBanchet Awards.Sahs serves on the Illinois Restaurant Association Advisory Council as well as a board member of The West Central Association. 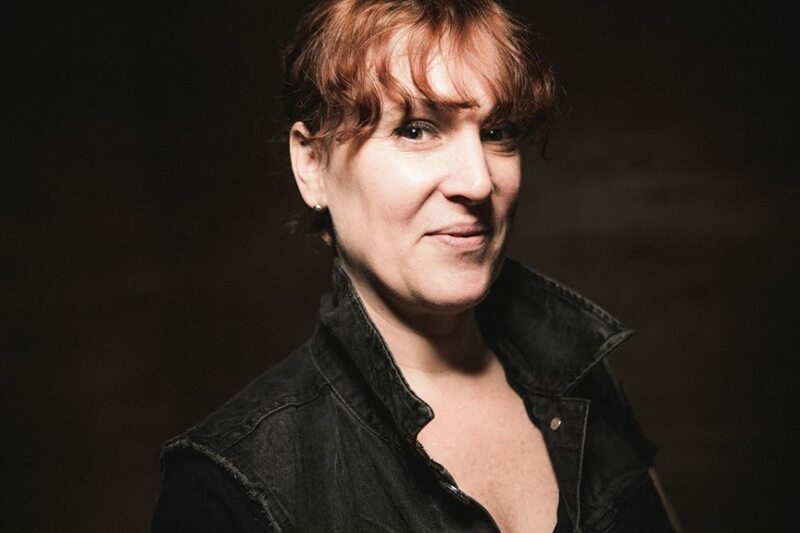 Mindy Segal opened “Mindy’s HotChocolate” Restaurant in 2005 after years of dedication to her craft and working in some of Chicago’s finest restaurants including: Ambria, Charlie Trotter’s, Marché and MK. In 2012, Mindy was awarded the prestigious James Beard Foundation Award for “Outstanding Pastry Chef.”Her best-selling cookbook “Cookie Love” was released through Ten Speed Press in the Spring of 2015. In 2016, Mindy collaborated with Cresco Labs, Illinois’ largest cannabis cultivator and launched “Mindy’s Edibles.” She is now giving back to those suffering from chronic conditions by reinventing the cannabis-infused sweets industry with her innovative product line.Segal opened “HotChocolate Bakery” in 2016 in Revival Food Hall in downtown Chicago and it has appeared on all of the “best bakery” lists in the city.She has appeared onThe Today Show, The Martha Stewart Show, The Steve Harvey Show, The Food Networkand innumerous publications including:Food & Wine,Bon Appétit, andThe New York Times. Kristianna Smith is the Director of Business Affairs at Land and Sea Dept., a Chicago-based project and concept development studio. After a decade in the music industry, Kristianna began working for Land and Sea Dept. in 2013, where she currently oversees sourcing, purchasing, payroll, insurance and the day to day financials of the company and its collection of restaurants and bars (Parson’s Chicken & Fish, Lost Lake, Cherry Circle Room, Game Room, and Milk Room). Chuck is a principal with CliftonLarsonAllen LLP. He has extensive experience providing tax, accounting and business solutions to a wide variety of closely-held businesses and their stakeholders ranging from entrepreneurial start-ups to large multi-national corporations. He is highly skilled in tax consulting and planning for the unique situations encountered by business owners and executives operating in the restaurant and other food related industries. Chuck offers comprehensive tax strategy and overall planning programs for multiple-entity companies, including those in transition and/or new business ventures. He supplies hands-on assistance with the complex areas of multi-state and local sales and use tax issues. In addition, Chuck has in-depth knowledge of corporate structuring and restructuring issues to capitalize on favorable tax positions. He holds a Master of Taxation from DePaul University and a BS in accounting from Indiana University. Chuck is a member of the American Institute of Certified Public Accountants, the Indiana CPA Society, and the Illinois Restaurant Association. 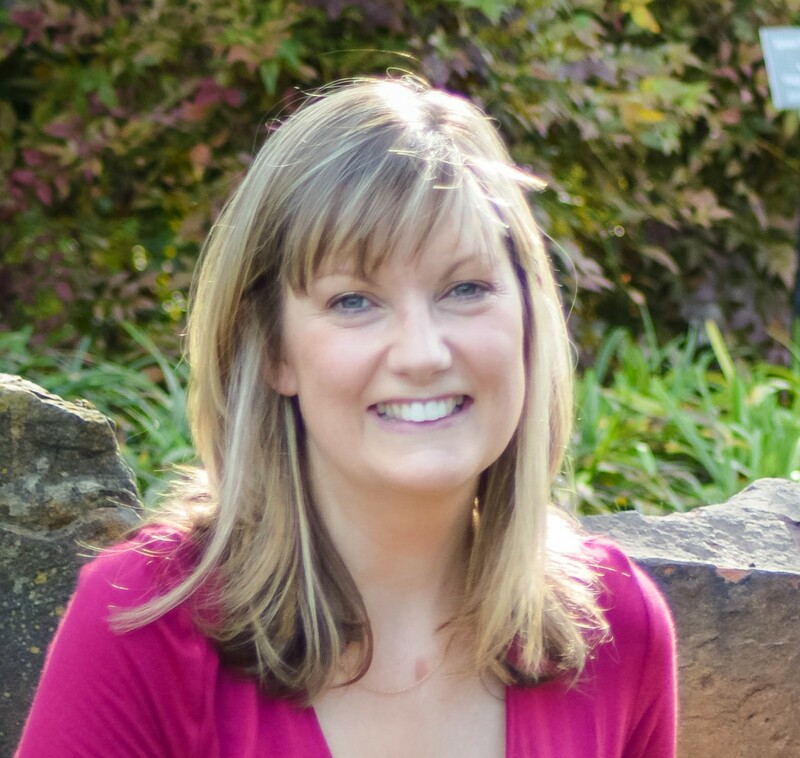 Susan joined Pinstripes in 2019 with almost 20 years in hospitality and retail experience. Originally from Scotland, Susan made the leap across the pond in 2009 to help grow the Topgolf brand. She spent almost 12 years leading Topgolf’s marketing and communications strategy, growing from 3 venues to 51 in that time.What excites Susan about the Pinstripes brand is the integration between quality food and beverage and an entertainment experience. People are craving quality entertainment experiences where they can truly connect with each other. Pinstripes offers just that.Susan is extremely passionate about local community marketing as well as the ever changing trends in the digital marketing world and how they impact the hospitality sector. Patrick is chair of Taft’s Food and Beverage group. He has extensive experience counseling multi-unit restaurant/bar operators on matters relating to financing arrangements, liquor licensing, mergers and acquisitions, real estate and general corporate governance in jurisdictions from coast to coast. With a background in the foodservice industry, he works with his clients to foster their growth by strategically overseeing all aspects of their operations to ensure that they are on a path to success. Patrick is an adjunct professor at Kendall College and teaches a course on Hospitality Law. He serves on the advisory council of the Illinois Restaurant Association. 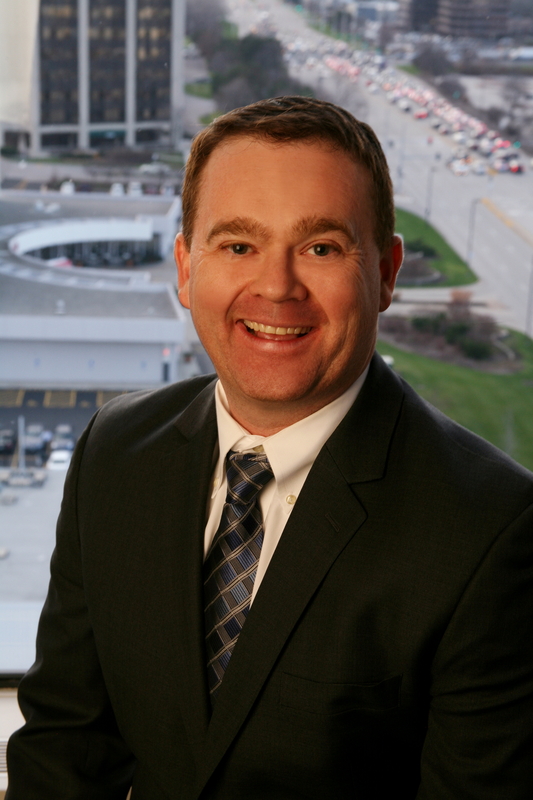 Patrick serves as outside general counsel to businesses of all sizes. He advises and represents a wide variety of businesses in a full range of legal matters, including business formation, funding, acquisitions, business transactions, employment concerns, contract disputes, commercial litigation and negotiations. Patrick is an adjunct professor of law at Chicago-Kent College of Law and teaches a legal writing course. Patrick was selected for inclusion in Illinois Rising Stars in 2016 and 2017. 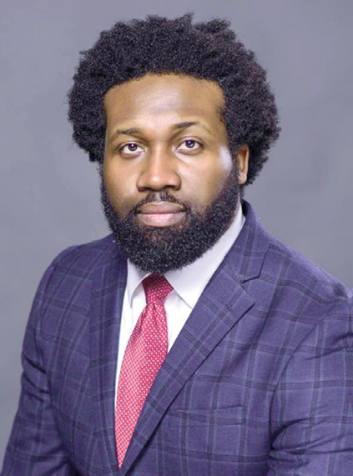 He was elected to serve on the General Assembly of the Illinois State Bar Association and is a member of the Chicago Bar Association, State Bar of California and American Bar Association.